Scarf Print Crepe Tapered Leg Trousers is rated 2.5 out of 5 by 4. 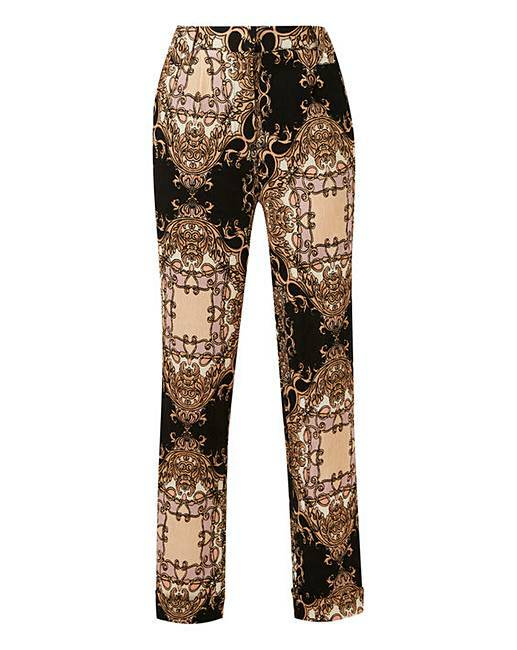 These scarf print tapered trousers will make heads turn this season. These are on-trend and will look amazing on this season. 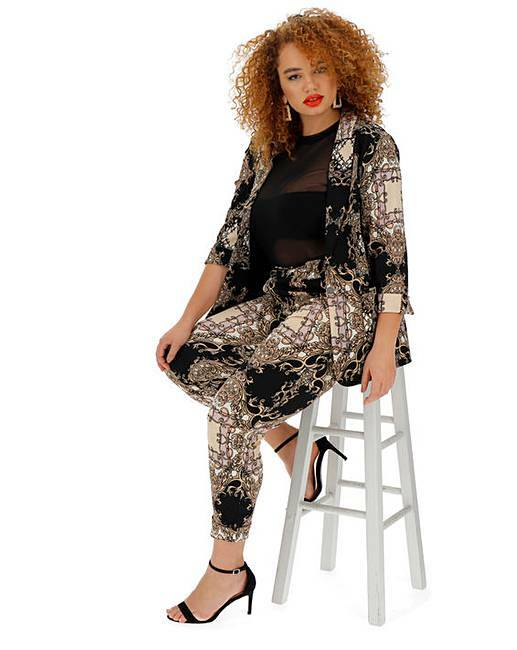 To create that ulimate co-ord look add the matching blazer (JH761). Rated 5 out of 5 by Paula from Really Flattering! I brought these along with the matching jacket. They look fabulous on, very flattering, even with a generous hip and tum measurements like mine. The back elastication makes them fit superbly. Even better with the cuffs turned up and worn with flatties!